Your bicycle says a lot about your riding style. 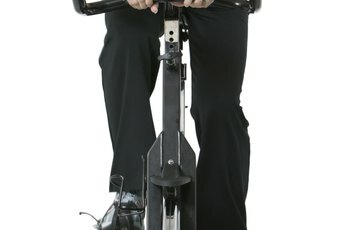 Taking the training wheels off your exercise routine may mean getting a boost in your workout from a daily bike ride. You can go it alone, join a club or make it a family affair, but first you need the right equipment. 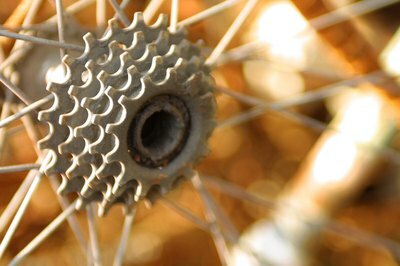 With so many bicycle designs, it may be quite the task selecting the right bicycle for your fitness needs. However, with a little planning and soul searching, you can discover the best type of bicycle to get you on the road, your heart pumping and your muscles moving. Are you a road runner hitting the pavement and dodging traffic? Or the nature girl who likes to hit the trails and tackle the dirt roads and rubble? 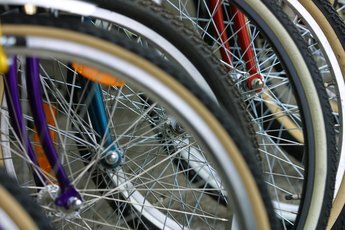 These are important questions that will help you define your “bicycle personality.” Other factors to consider before shelling out the cash on a new bike are how often you will be using the bike, whether it’s for recreational use, everyday rides to work or activities, or if you have plans to fit it into your regular aerobic exercise routine. Ask yourself whether you have the storage space and how much you are willing to spend. Then hit your local sporting goods store to take your pick. Mountain bikes are made with smaller wheels for climbing dirt roads, rocky trails and gravel. You’ll find that these types of bikes are also more lightweight compared to their on-the-road counterparts. These babies are designed with special shock-absorbing features for quick braking – especially necessary in wet weather conditions -- and feature lower gears. At the time of publication, an expert article on REI.com states that mountain bikes are on the higher end of the price spectrum and can range from $400 to $2,000 or more. If you’re into racing, touring, long-distance riding or commuting, a road bike is going to be your best bet for getting you to where you need to go. Road bikes are perfect for both beginners and advanced riders and offer the benefit of riding against multiple pavement platforms with better comfort. These, too, sit on the high end of price points, ranging from $500 to more than $2,000, according to REI.com. Choose between a drop-bar handle, which is better for going faster -- they’re also aerodynamic -- and a flat-bar handle for nuances in riding positions. Also known as urban or commuting bikes, these bikes are perfect for the occasional rider who likes to go on leisurely rides around flat neighborhoods, parks and bicycle paths. Choose a comfort bike, which provides a relaxed position and comfortable seating for easy gliding on the road. Or select a hybrid bike, which offers the benefits of both, for easy commutes to work without the bells and whistles. 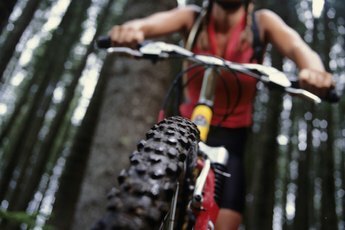 You can grab a recreational bike for $300 to $1,200 or more, reports REI.com.